Here in the Western Cape of South Africa we’ve had a very mild Winter. Well on our way to Spring, the nights are getting shorter the days are a little longer and the spring flowers are starting to bloom. Trees are greening up and everything looks fresh and new. As the seasons change I am taking part in a new quarterly gardening meme by PlantPostings called Garden lessons learned. 1. Plant in Groups! Not randomly. This has been my biggest lesson learnt this past season. 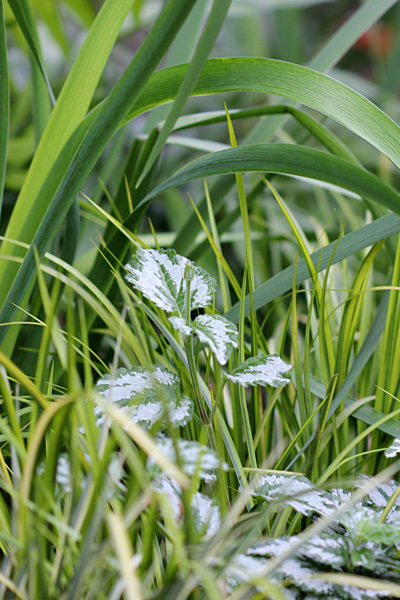 The Irises in the photographs below are a perfect example of my “random plantings”. I bought 6 of the rhizomes. I brought them home. At the time I was a complete newbie (read: clueless) gardener. I planted them in twos. Two together in one spot, two in another and two in yet another. How stupid. They are magnificent plants, large, strappy, strong upright standing leaves with gorgeous blooms and I planted them in twos. How stunning they would have looked in a group of six. They would have made a statement – been a focal point. Instead, they are lost in their silly placement. HUGE lesson! 2. 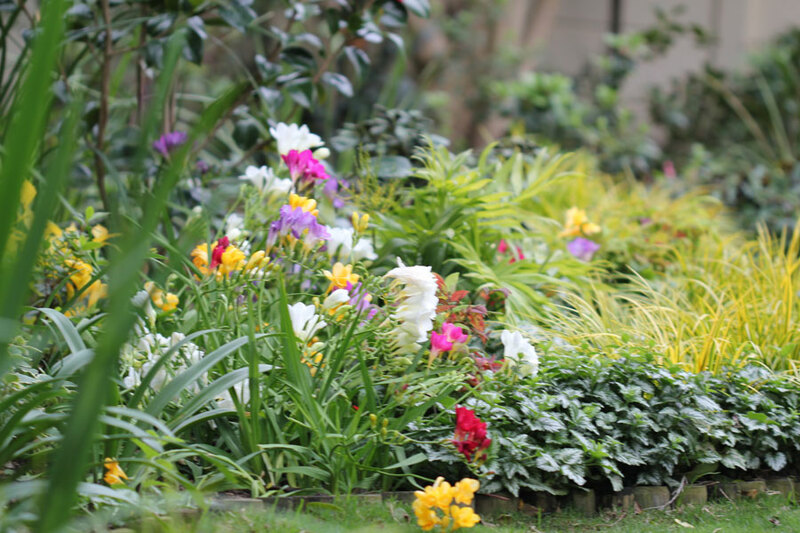 When planting a new plant bought from a nursery, it really pays huge dividends to prepare the soil and planting holes properly. Before I knew what I was doing I used to buy a plant at a nursery, bring it home, dig a hole and plonk it in and wait. And wait … and wait. And then sometimes I’d wait some more. If I was lucky the plant would eventually start to grow. If I was unlucky, it would shrivel up and die. Then I started gardening properly. Reading, learning and trying new things. I learnt that I need to dig the hole twice the size of the pot the plant is in. Mix some compost and bone-meal/fertiliser/whatever into the planting hole. Water. Then add the plant. Make sure there are no air pockets. Plant it at the correct depth for the plant. Water it. Depending on the plant, water daily until established. Presto! What a difference! All my new acquisitions made and planted in this way over the last three months are THRIVING! What a joy! 3. The pictures they show you on the packets of Tulip Bulbs are not always true to what grows! And whats more, those lovely pictures they show you of the egg-shaped blooms … well that’s only the way they look when they close in the evenings and first thing in the morning before the sun starts to belt down. Even in my shaded garden they open up like saucers and invite the aphids in! And the colours are (mostly) nothing like the packet pictures. 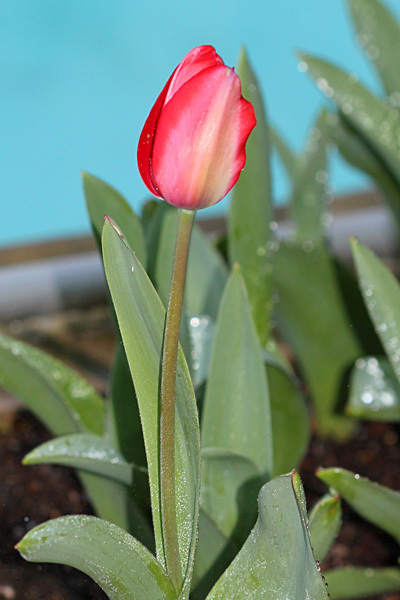 Will I grow Tulips again? No. Far too much effort and money for too little reward. It was a great learning exercise – one I won’t repeat. Great I’m sure for people with full-time garden help and more space than they know what to do with. I have neither, so I’ll live without tulips in future. 4. I cannot grow Dutch Irises! OK, these bulbs were not expensive and I’m really glad I tried them. I suspect that my garden is just not the right environment for them. Either that or the folks that grow Dutch Irises for Woolies have some magic soil or fertiliser that produces stems four times the size of mine. This is one thing that is cheaper buying from Woolies than “growing my own”. I won’t grow these again. 5. 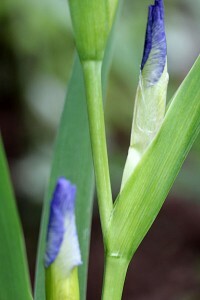 I can grow Louisiana Irises! Very well! I bought a few Iris rhizomes at a plant fair in February. They were Louisiana Irises – Colorific, Sinfonietta and Stanley Blue (a new hybrid). 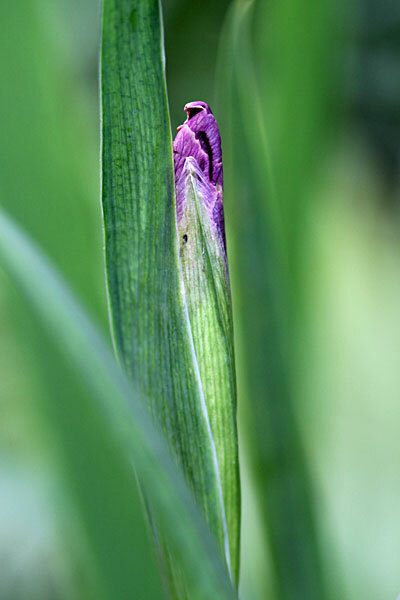 I had been told by a landscaper that I would never be able to grow Louisiana Irises in my garden. Well I did, and I can! I have proof. And they are gorgeous! In full bloom. Isn’t she lovely? 6. Moles can destroy your garden in days. I’m through discussing the mole – I’ve waffled on enough about him. But I’ve learnt that when something really threatens your plants you need to take action sooner rather than later. 7. If something doesn’t work, give it away or compost it! Being an inexperienced gardener means I’ve made incorrect plant choices. I’ve spent money on plants that were unsuitable for my garden, allowed others to make choices for me that I didn’t always like and so on. I’ve learnt that when something doesn’t work there is no point feeling guilty about it. Give it away or, worst case scenario, just rip it up and throw it in the compost mixer. And then make better, more informed choices next time. 8. Making your own compost takes time and effort, but is extremely rewarding. I think only gardeners can appreciate the thrill of making your own compost. From taking a bunch of old leaves and grass cuttings, throwing in your vegetable and fruit scraps from the kitchen, mixing, waiting and then … finding you have black, sweet smelling compost at the end of it … If you don’t garden you just won’t understand. 9. I can prune my own roses! All the hype about pruning roses! I was really terrified to do mine. I was so sure I’d mess it up and have to buy brand new roses. So I bought a book. I bought a video. I watched some more videos on You Tube. I read blogs. I practised on a miniature rose. Then the big day came and I went ahead and pruned my three little standard Iceberg roses. I was sure I’d messed it up. But guess what? They are growing new leaves like crazy! And they look GREAT! 10. If you don’t wear gloves whilst gardening your hands are going to look terrible! I always start the day wearing my gardening gloves but somehow they get removed half way and I dig and mess about in the dirt with my bare hands. My hands and nails look pretty awful right now. But so what … I have a lovely garden! I’ve traded perfectly groomed hands for a garden I am (almost) proud of. 11. I love, love, LOVE Spring! This is not news for experienced gardeners. They all love Spring (and Autumn it seems). 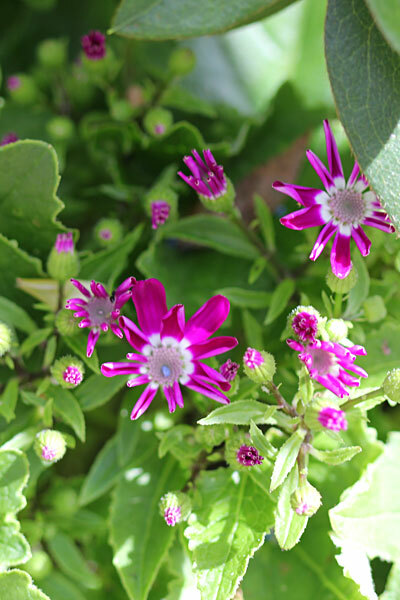 But it is my first Spring as a gardener, and what can I say … its totally magical! Every day there are new surprises. 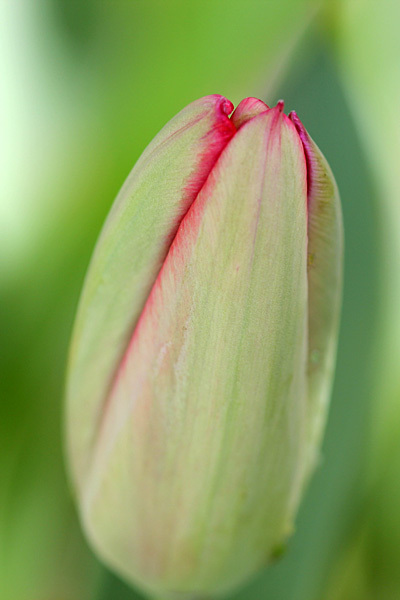 A new shoot, a new bud, a cacophony of colour in an unexpected place. I feel like a child making new discoveries every day. Its wonderful feeling like a kid again. I love it! 12. The garden is never “ready” or “finished”. A garden is a constant work in progress and always changing. Every season seems to brings with it new challenges and rewards. 13. Gardening is not a hobby I’d recommend to control freaks! You cannot control the garden … it controls you! What did YOU learn this last season? Christine, Great blog, gorgeous photography, and I’ve enjoyed each post I’ve read so far. Great job! I try this and that…Still so must to learn. What an interesting read! I must agree that I’ve also learnt what you have mentioned above…except that my dogs would not allow any moles to help them destroy the garden. I guess there are many life lessons learnt by a gardener like doing ‘first thing first’ (ensuring the soil is right), and ‘letting go’ (grow suitable plants instead of hanging on to those that just won’t work. Great lessons all! This past season I have discovered that I have a lot to learn about growing vegetables. I hope that next spring I will have learned from my many mistakes. It is too bad that you had such a bad experience with tulips. 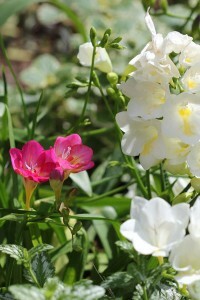 I find them indispensable in spring. As far as irises go, I think you are wise to stick with what works. I absolutely agree that about planting in groups. A single plant is lost in a large garden. Finally, if you were to shake my hand you would see my nails are ragged and my hands are rough. You would definitely know that you have just met a gardener. I was nodding my head as I read each of your points, Christine. I’ve made similar mistakes–planting in twos and not digging a hole properly, for example. I’ve been gardening just a few more years than you, but I still find I have so much to learn. I think learning what works in your own garden is a lesson that only comes with experience, and even then it’s never quite mastered. 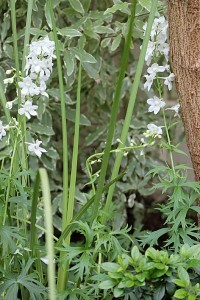 I’m always seeing a plant on someone’s blog that I think I must have, but then it just isn’t happy in my zone 5 garden. The only point I’ll disagree on is tulips–I love them! That’s one of my big projects for this fall–adding even more. But your irises are beautiful–I hope you plan to plant even more of these. Thanks for visiting me; I enjoyed seeing your springtime blooms. Wow! You’ve come a long way just short of a year! It feels like we have been doing this forever – it’s starting to feel comfortable now. I LOVE SPRING TOO! Christine, already you seem to have reached a stage in gardening that takes most of us at least five years to achieve. Even after all these years of gardening, I am still guilty of random planting. I know what you mean about Tulips, however in our cooler climate when the petals are more often closed than open the resemblance to the picture on the packets may be a little more accurate. Hi Alistair – the credit for reaching this stage so quickly goes to all my fabulous gardening friends I’ve made via Blotanical, and you are in the of that list. Without your blogs I could never have learnt so much so quickly. Its been such a fun learning curve and I am so grateful to all of you for sharing your experiences and knowledge so generously. I can relate to your excitement about spring. After the dormancy of winter, it is so refreshing and wonderful to begin to see life in the garden again. Very good lessons! Good lessons! Your post was fun to read, Christine. Thanks SG! I had fun doing the post! Oh my goodness! 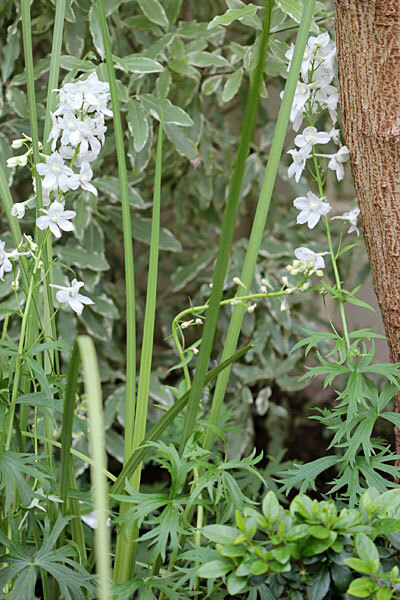 I would never guess you’re a new gardener–you’ve learned so many lessons already! And you put me to shame because too often I take shortcuts. I promise I’ll be better next season. 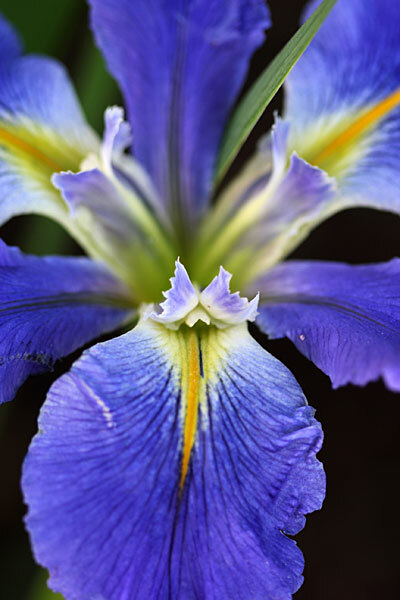 You’re right–the Irises are exquisite! And so are your photos! Thanks for joining in the meme. Hi Beth – It is a really great meme idea, it made me think a lot about what I’ve learnt and … what I still need to learn. And I learn so much reading the others posts. Thanks so much for coming up with this – I really enjoyed doing this post. I was considering posting for the end of season meme at Plant Postings and now you’ve inspired me and I’m going to do it. I think it’s amazing that as such a new gardener you’ve made so much progress this year. My first garden efforts (too many years ago to tell you) were pathetic. Enjoy your spring garden! And I agree with you about tulips – I think they need cooler Springs to hold the flowers longer. Hi Lyn – Oh yes please do a Lessons Learned post – I learnt a lot from the ones that did do it, and am sure I will learn from yours. Your garden is so inspiring to me. Great lessons! Oh, my gosh – that first spring picture is absolutely gorgeous! And whether you’re a new gardener or not, when spring rolls around, you get that same thrill because, as you say, the garden is always changing. Isn’t it wonderful?! Wow! Your blog is so cool and your template really professional! I like it for real! Thanks Kelly – wish I’d bought more of them.